In a move to consolidate all the charges against former Bayelsa State governor, Timipre Sylva, the Economic and Financial Crimes Commission (EFCC) on Monday withdrew the six-count charge of fraud before Justice E. S Chukwu of the Federal High Court sitting in Maitama, Abuja. The withdrawal, according to the EFCC, is to allow it consolidate the charges against the former governor, pending before two Federal High Courts in Abuja. 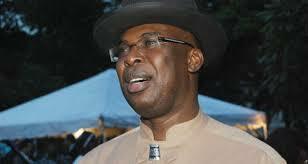 In the charge which was withdrawn today, Sylva was being prosecuted by the EFCC for allegedly converting N2bn worth of properties and resources belonging to Bayelsa State between 2009 and 2010, during his tenure as governor of the State. The former governor also has similar charges, a 42-count charge, pending against him before Justice Ahmed Mohammed of the Federal High Court, Abuja. In the charge, the former governor along with Francis Okokwo, Gbenga Balogun, and Samuel Ogbuku, allegedly conspired and used three companies – Marlin Maritime Limited, Eat Catering Services Limited, and Haloween-Blue Construction and Logistics Limited to move about N19.2 billion from Bayelsa State coffers between 2009 and 2012, under false pretence of using the withdrawn money to augment salaries of the state government workers. At today’s sitting, O. J Nnadi, SAN, representing the Director of Public Prosecution, DPP, Mr. Muhammed Diri, prayed the court to withdraw the charges against the accused. Nnadi, however did not clearly state the conditions upon which the application for withdrawal was being sought. But counsel to EFCC, J.A Ojogbane, told the court that, there had been preliminary arguments in respect of a similar case before Justice Mohammed which, according to him, necessitated the application to withdraw the case at hand. In his response, Sylva’s counsel, O.1.Oloundare, SAN, prayed the court to dismiss the charge, since the prosecution had sought to withdraw it. He also pleaded with the court to order the EFCC to release the international passport of his client. After listening to the submissions of both counsel, Justice Chukwu discharged the accused and ordered the EFCC to release his international passport.